Part of the rim and wall of the Overlook crater collapsed into the Kilauea summit lava lake yesterday afternoon starting about 2:30. As seen previously with such events, scientists say "an ashy plume, rapid oscillation of lava lake level, and intense spattering in the lake at the impact site were produced. There was no appreciable net change in the lava lake level over the past day and it remains at about 155 feet below the rim of the Overlook crater." 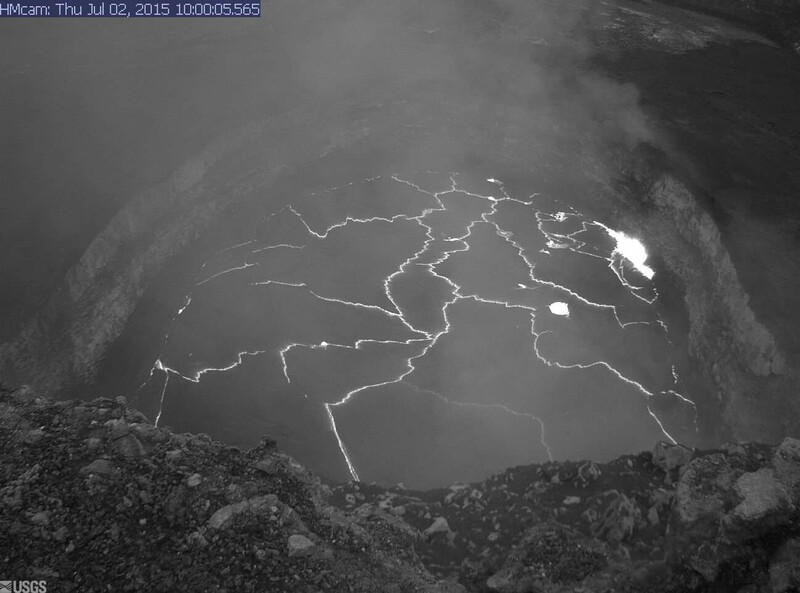 July 2 webcam image of the Kilauea summit lava lake courtesy the USGS Hawaiian Volcano Observatory. The June 27 lava flow remains active within an area extending about 5 miles northeast Puʻu ʻŌʻō. There have not been any significant changes at Puʻu ʻŌʻō. This most recent USGS Hawaiian Volcano Observatory map shows recent changes to Kīlauea’s active East Rift Zone lava flow field. The area of the flow on June 19 is shown in pink, while widening and advancement of the flow as of June 30 is shown in red. 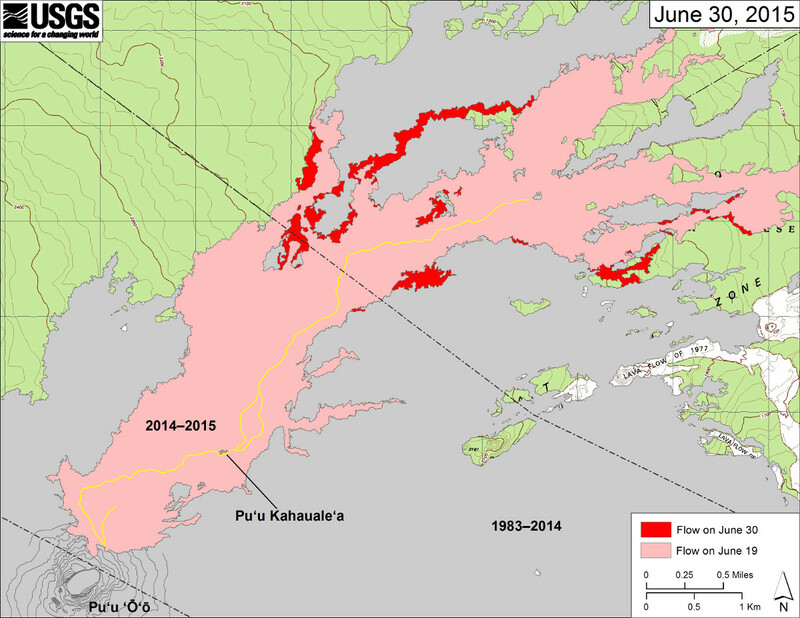 Puʻu ʻŌʻō lava flows erupted prior to June 27, 2014, are shown in gray.